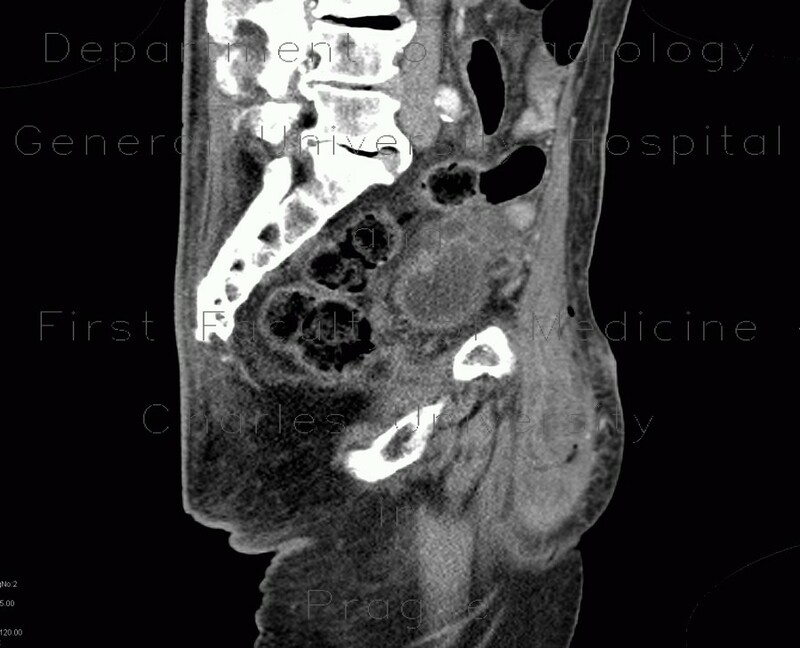 This patient, who underwent endoscopic repair of inguinal hernia, was referred to ultrasound for a palpable resistence in the groin. Utrasound showed a well-defined mass of mixed echogenicity which corresponded to hematoma in the sac that was kept in place. Subsequently, CT was performed, which showed a mass of increased density and a small air inclusion, a findgin compatible with postoperative hematoma in the sac and retained postoperative gas bubble.